Tag Archives for " Pivot "
Have you become bored in your current position, are considering starting your own business or maybe you’re ready for a career change? With every plateau, there’s a pivot. And your next move is essential in determining your success. 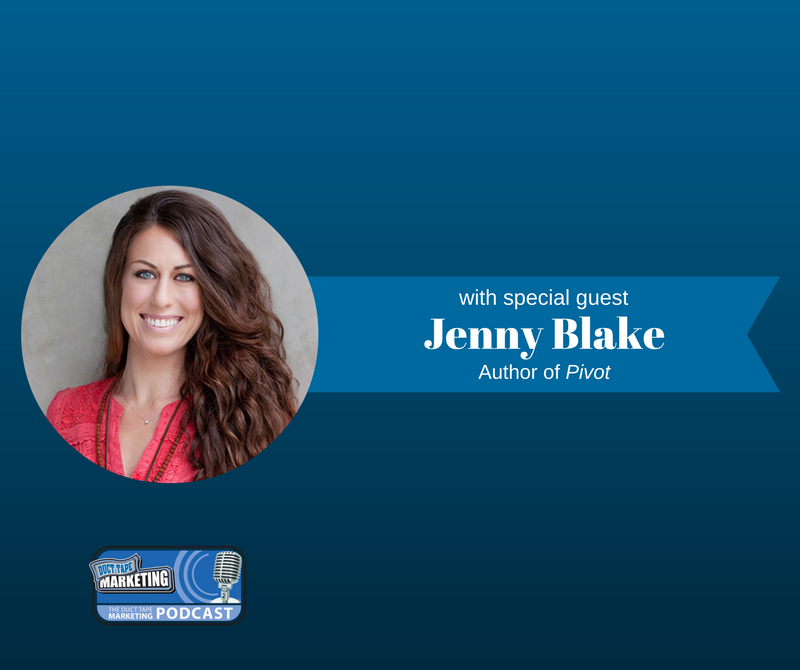 My guest for this week’s episode of the Duct Tape Marketing Podcast is Jenny Blake, business strategist, international speaker and former Career Development Program Manager at Google. She is also the author of Life After College and the forthcoming book Pivot: The Only Move That Matters Is Your Next One. Jenny and I discuss the major pivot points in life, career development and strategic growth. Jenny knows all about pivots. Terrified by the prospect of failure, Jenny left Google and the corporate life all-together in 2011 to start her own business. Pulling from her personal fears and life experiences, she now helps growth-oriented individuals figure out what’s next and how to get there. Do people typically have a pivot moment or event where they say “I have to change”? If I’m unhappy and know I’m meant for something else, how do I break down the hypothesis of what to do next? What are some things that people do to sabotage their ability to pivot? Learn more about Jenny Blake and her entrepreneurial journey by visiting JennyBlake.me. You can reserve your copy of her latest book, Pivot, here.